Note: Xfire no longer works. Instead you should try TeamSpeak or Mumble. 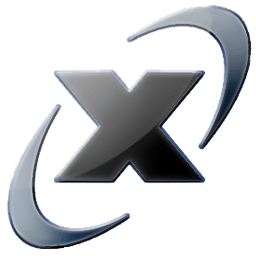 Xfire is a downloadable client for Microsoft Windows that provides gamers with everything needed for the ultimate PC gaming experience. Xfire is a tool that automatically keeps track of when and where gamers are playing PC games online and lets their friends join them easily. It works regardless of game type, server browser, or gaming service that a player is using. Xfire eliminates the hassles of running multiple instant messengers, or in-game friend's lists to keep track of when and where a gamer's friend are playing. Instant messaging is geared for gamers, so IM windows do not pop-up while you are playing a game and Xfire can show instant messages within the actual game interface for many games that it supports. It supports the best and the latest online PC games including over 3000 server- and non-server-based First Person Shooters, Real Time Strategy, and Role Playing Games. Xfire is the only chat client that provides access to Battleground, Xfire's new competitive gaming platform.